Objective: to deposit diamond-like carbon (DLC) thin films using pulsed laser deposition (PLD) technique and to model and simulate the deposition process. Objective: to develop a novel blast wave absorbing structure that can be directly integrated into Army Future Combat Systems and to develop a blast load model for the optimization of the blast wave absorbing structure. Objective: to simulate the loading and regeneration of particulate matter and the thermal stress developed due to uneven heating, and the use of the numerical model as a design tool to meet the 2007 EPA Tier 2 emission standards. 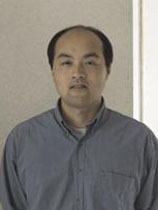 Dr. Zhang joined the Department of Mechanical Engineering in Fall 2002. Upon graduating from Penn State, he worked as a senior research engineer at the Michigan Technological University from 2000 to 2002. He also briefly held a technology engineer position at the Detroit Diesel Corporation. Dr. Zhang is a member of the American Institute of Aeronautics and Astronautics (AIAA) and the Society of Automotive Engineers (SAE). Guo, Z. and Zhang, Z., "A One-Dimensional Numerical Model for Diesel Particulate Trap Performance Study During Loading and Regeneration," International Journal of Engine Research, Vol. 6, pp. 247-262, 2005. Zhang, Z. and Gogos, G., "Effects of Laser Intensity and Ambient Conditions on the Laser Induced Plume," Applied Surface Science, Vol. 252, pp. 1057-1064, 2005. Zhang, Z. and Gogos, G., "Theory of Shock Wave Propogation During Laser Ablation," Physical Review B, Vol. 69, 235403, 1-9, 2004. Zhang, Z., Modest, M. F. and Bharadwaj, S. P., "Measurement of Infrared Absorption Coefficient of Molten Glasses," Experimental Heat Transfer, Vol. 14, No. 3, pp. 145-156, 2001. Zhang, Z., "Numerical Simulation of Short-Pulsed Laser Processing of Materials, " Numerical Heat Transfer, Part A. Vol. 40, No. 5, pp. 497-509, 2001. Zhang, Z., Han, Z. and Dulikravich, G. S., "Numerical Simulation of Laser Induced Plasma during Pulsed Laser Deposition," Journal of Applied Physics, Vol. 90, No. 12, pp. 5889-5897, 2001. Zhang, Z., "Determination of the Time Constants of Integrating Spheres Using Monte Carlo Simulation," AIAA Journal of Thermophysics and Heat Transfer, Vol. 13, No. 4, pp. 550-553, 1999. Zhang, Z. and Modest, M. F., "Temperature-Dependent Absorptances of Ceramics for Nd:YAG and CO2 Laser Processing Applications," ASME Journal of Heat Transfer, Vol. 120, No. 2, pp. 322-327, 1998. Zhang, Z. and Modest, M. F., "Energy Requirements for Ablation or Decomposition of Ceramics During CO2 and Nd:YAG Laser Machining," Journal of Laser Application, Vol. 10, No. 5, pp. 212-218, 1998.